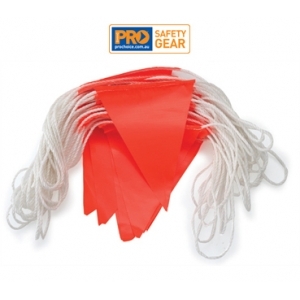 Hi Vis fluoro PVC triangle flags. 30 metre length. Reusable hi strength nylon rope. 45 flags. Provided excellent visibility for hazard areas.